"Pugs, Hugs and Lots of Chic In Between"
"Showcasing the Power Of Symmetry"
"The Top Ten Bar Cabinets"
"A day with interior designer Mary McDonald"
Feature Story: "When you decorate for a friend the job is never done - and thank goodness. In the hands of this dynamic designer, one Beverly Hills house just keeps getting better." 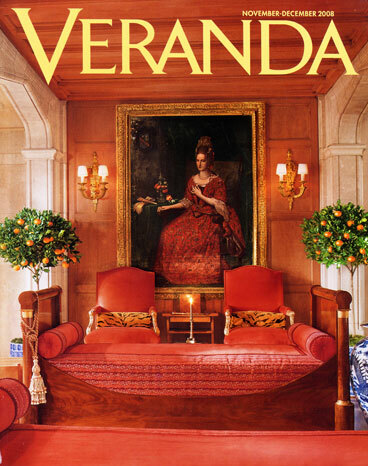 "The Meryl Streep of Design"
"Design is not about what we can see but what we feel, that is the true meaning of a designer's work"
"A visit to Napoleon's Chateau de Malmaison with it's legendary collection of neoclassical antiques, led by designer Mary McDonald"
"A colorful and enlightening conversation with Mary McDonald"
Los Angeles based designer Mary McDonald discusses her 2015 fabric collection for F Schumacher & Co.
"Up close and personal with icons of fashion, interior design, and art." "15 tips for a chic and happy holiday from designer Mary McDonald." 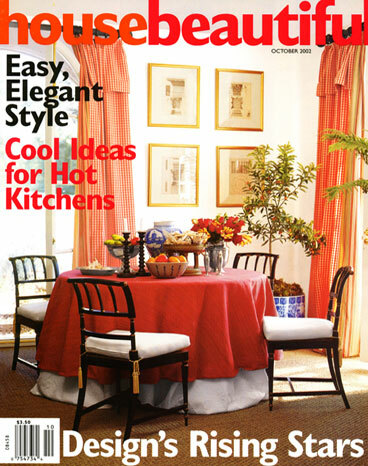 Drayton Center Table by Mary McDonald for Chaddock: " The Classical reference of those columns is clever." "It's a great-looking piece, extremely handsome"
Mary McDonald's Abaca Rugs - "Simply Gorgeous. They're structured and graphic but still have an organic quality." "In her new line for Chaddock designer Mary McDonald reinterprets classic European furniture forms with a contemporary, decidedly American spirit." Featured: Mary McDonald's Chinios Palais fabric in Aquamarine. 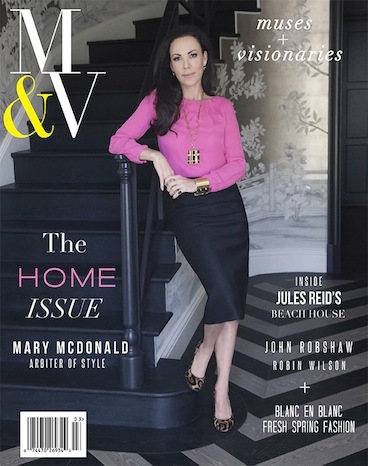 "Leading US interior designer Mary McDonald, known for her glamorous interiors and A-list clientele, shares her design philosophy." 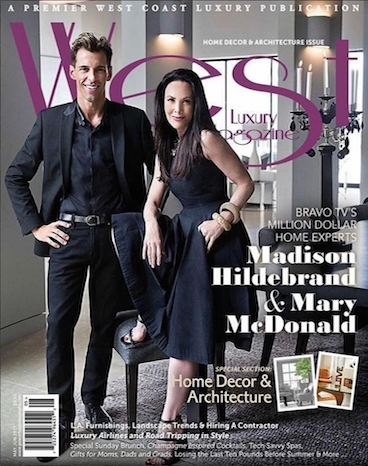 "From life as a Milliner to a celebrity interior designer, tastemaker Mary McDonald is building a brand of style one project at a time." Elle Decoration Indonesia gives a look inside Mary McDonald's design process.
" 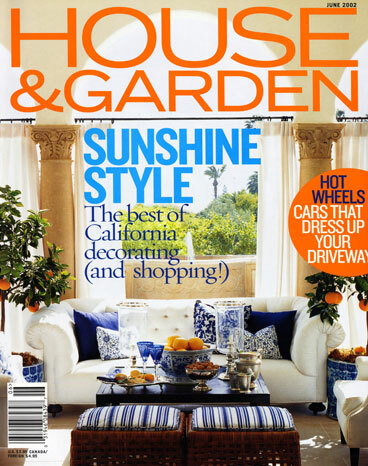 I went with a clean California take on French country, with a teeny bit of industrial sparseness." Elle Decoration Indonesia names Mary McDonald this months "Style Icon". "Design world superstars Mary McDonald And Nate Berkus share their fashion choices for the Peconic land trust luncheon." "Who says the big cat can't change its spots? 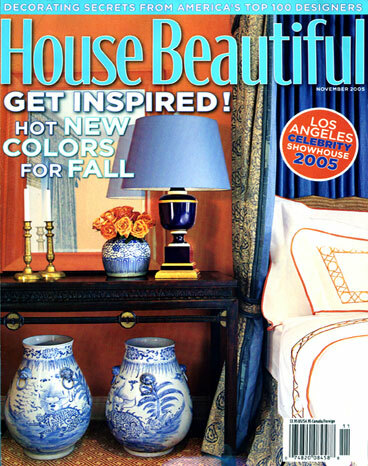 Vivid new hues are showing up on runways, and in homes both classic and contemporary." "True to form, her collection reinterprets traditional design in a clean, graphic, and glamourous way. Trust us; your upholstery will look like a million bucks." "My collection is Park Avenue with a nod to rock and roll." "Los Angeles based interior designer Mary McDonald turns her hand to textiles with a chic collection of fabrics for Schumacher." 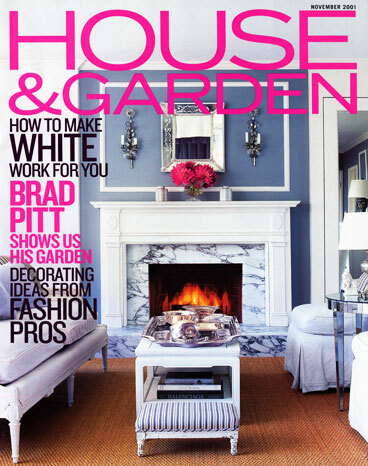 Traditional Home includes Mary's "Garden of Persia" fabric in their "New + Next Palette" section. "With her new fabric and rug lines, Mary McDonald brings a blast of L.A. energy to traditional elegance." "Santa Barbara is a bit woodsy and a bit beachy"
" I pull up a table to my cabinet bar so guests can mix their drinks easily"
" I set my own standard for chic and change my bag accordingly to my outfit, not the current trend." " I can't help myself. I love something to be luxurious and inviting"
" A contemporary-style daybed can connect two sitting areas: Because it usually has no back, people can sit on either side." " Celebrate the season with celeb designer Mary McDonald's nature-inspired tablescape." " I want the reader not to only look through the book but be immersed in what the pages exude"
"With a new fabric line, book and reality TV show, design maven Mary McDonald is taking her brand of couture chic to a new level"
"I'm always buying evening gowns - not necessarily because I have a particular event to wear them to, but just because I love them"
"Mary McDonald's new decor tome highlights the drama and enchantment instilled in every interior she touches"
"Interior Design in Los Angeles has always been something of a motley affair... four designers are helping to forge its aesthetic." "Mary McDonald is known for being somewhat of a design daredevil, particularly when it comes to color." "Design is moving towards more organically inspired textile patterns, furniture silhouettes and architectural materials." "People have rules about bedrooms, that they're always supposed to be soft and pastel. Why can't they be zippy and vibrant?." 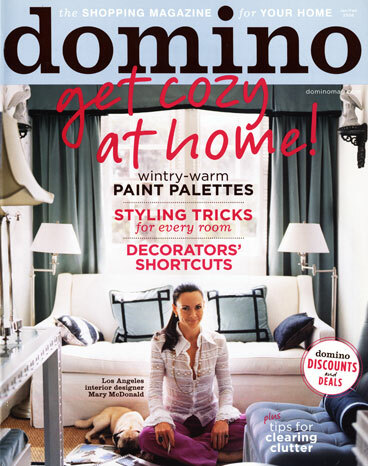 Domino calls her the "decorating daredevil" with "genius methods"
C Magazine "McDonald tempers old-world glamour with modern-day point of view for all her design projects." "Every room tells a story with objects, colors, patterns and textures that reveal character and evoke a desired mood or feeling." Western Interiors "McDonald sets a modern interior against a traditional canvas in a way that feels glamorous and sharp." 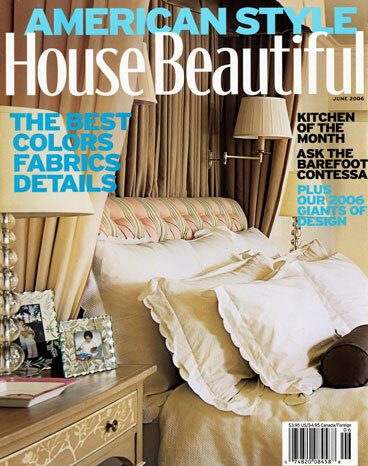 House Beautiful calls her work "timeless and glamorous all spun together with a keen fashion sense". McDonald is "a fearless, exuberant accessorizer." "This is the perfect American family home. It's optimistic, comfortable, and colorful." "Anyone who sees her home as an extension of her personal style will be right in step with Mary McDonald's decorating approach." Town and Country "McDonald brings the birds out of the trees and stars out of the sky"
House & Garden "McDonald recreates the spirit of Old Hollywood with a fit-for-a-starlet transformation of the bedroom." "Her decoration skills are sought after by select Hollywood clientele... who love the glamorous spin she gives to classic furniture and antiques."